The term 'living legend' gets thrown around quite a bit, but it actually applies to Country Music Hall of Farmer Charlie Louvin. 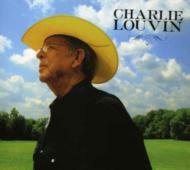 Produced by Mark Nevers and Charlie Louvin, the new album was recorded in Spring/Summer 2006 in Nashville. It features guest performances by Elvis Costello, Jeff Tweedy, Will Oldhamn, Tom T Hall, George Jones, Bobby Bare Sr, Tift Merritt, Marty Stuart, David Kilgour and members of Bright Eyes, Lambchop and many more. THe album features several Louvin Brothers classics as well as country favorites first popularized by Jimmie Rodgers, the Delmore Brothers, the Carter Family and the Monroe Brothers.